You can never have a straight face when dealing with a monkey. This is because they will always keep on making you laugh out loud. 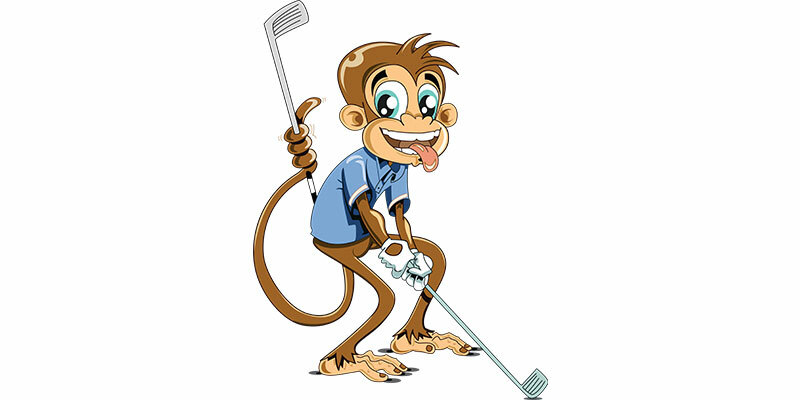 Similarly, this Golf Playing Monkey Vector Design is extremely amusing to view and would definitely put some fun and amusement on any piece of clothing, housewares and so forth.